Love your white on white. I never seem to be able to achieve a satisfactory result when I try this. Thanks for sharing at QKR Stampede. Such an elegant card Bunny. Love it. Thanks for playing along with us for our Anything Goes Challenge at Lil' Patch of Crafty Friends. Good Luck. Hope to see you again soon. 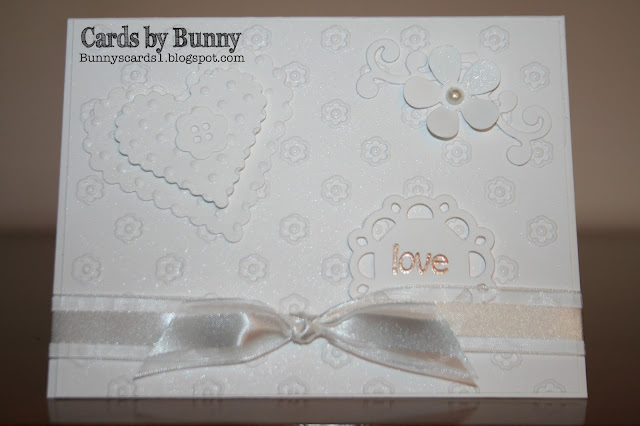 Beautiful white on white card, Bunny.